New Milford resident Ally Del Monte recently visited Glenholme School in Washington for National Bullying Prevention Month. The nationally recognized teen spoke about her experiences being bullied and her mission to inspire young people with her #BeBrave campaign. 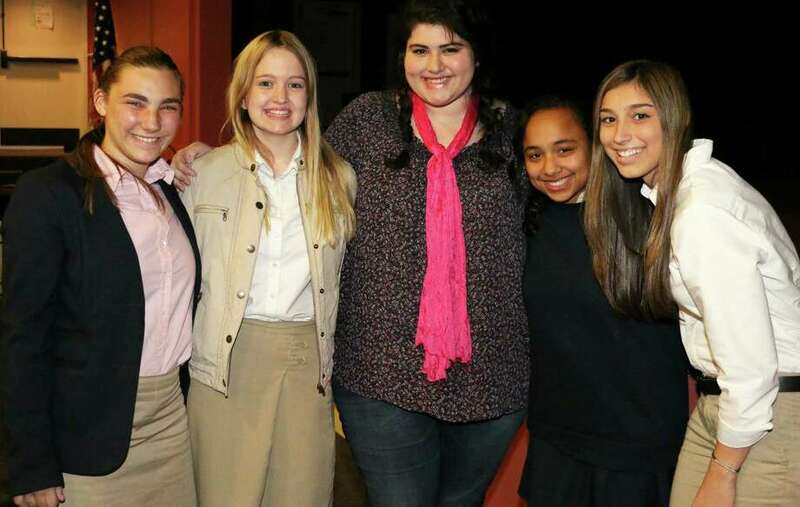 Above, Del Monte, center, is shown with, from left to right, are Jiliann Miller, Courtney Hynes, Lia Osterman and Cassidy Seaver during the October 2015 program.